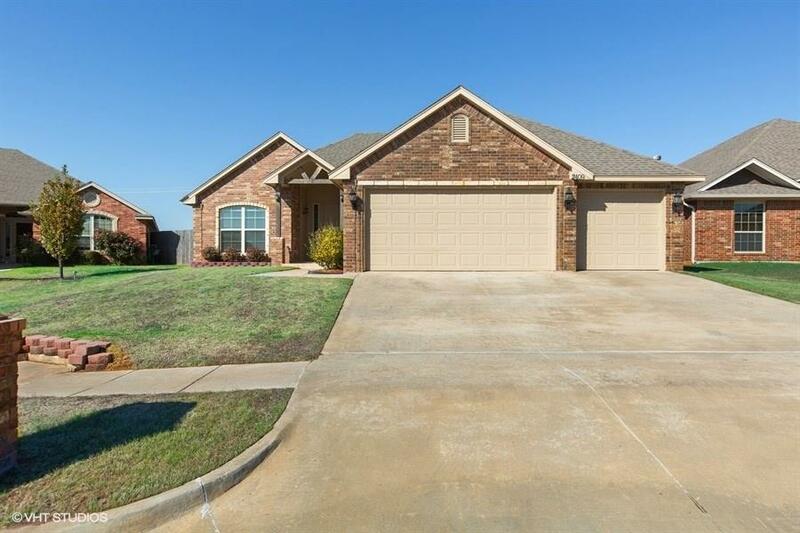 Beautiful newer home built in 2013 with 3 beds, 2 full baths and a 3 car garage in great neighborhood in Moore, OK. Home features new paint and carpet in September 2018, beautiful fireplace and wood flooring in the living room, breakfast bar in the kitchen, en suite master bath with double sinks and separate shower and jetted tub, large laundry room with built ins and sink, study, safe room, covered back patio with privacy fence. Make an appointment for a private showing today. Buyers to verify all information.